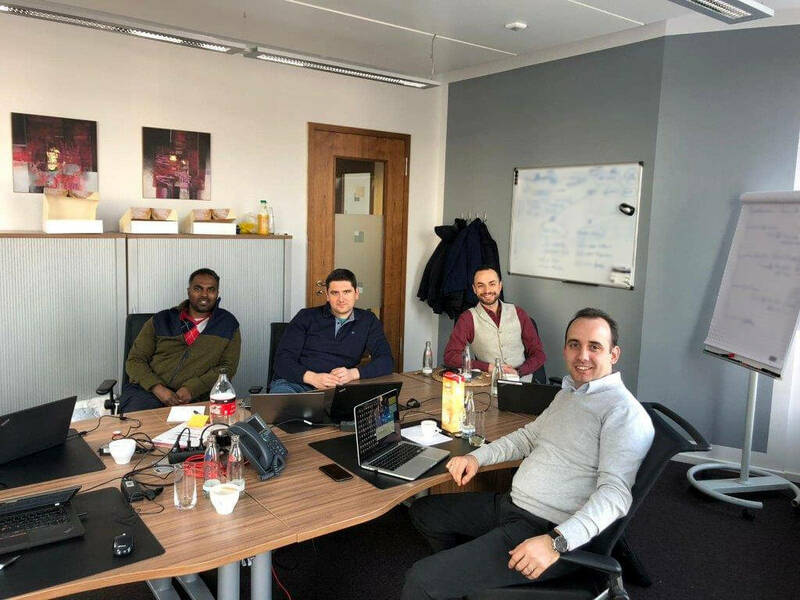 The beautiful city of Munich welcomed our core team for a very positive and productive Kick- Off meeting of 2019. Our focus was on the future: opportunities, company organization, customer satisfaction and lines of services and products. 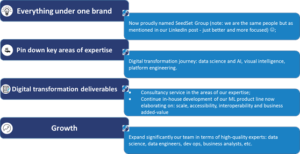 We are on the quest to deliver higher value cutting edge advanced analytics solutions. Our core values Enthusiasm, Competence and Integrity do make a difference and we promise to preserve this same path!